This is a tragedy of mammoth proportions. History will judge the ANC harshly on this matter. This has a catastrophic impact on learners’ development and must play a huge role in the poor educational outcomes in the Eastern Cape. The poor education system that this province experiences is one of the key drivers of structural poverty that is killing our learners’ future prospects. The DA empathises with the huge frustration, disappointment and helplessness that learners must feel when trying to do school projects. The current ANC-led government has once again neglected the children of the EasternCape. In a demanding curriculum, only learners in 338 primary schools and 216 secondary schools in the Eastern Cape have access to libraries at their schools. In a rural community where a school has no electricity, sanitation or even running water, no school library means no additional sources of information other than the information provided by the teacher. The DA believes that quality education is the key to improved quality of life. It empowers individuals to obtain a fulfilling job, contribute to the economy and utilise their talents to their full extent. The absence of libraries is creating insiders and outsiders when it comes to getting a quality education. This in turn impacts on learners’ ability to access jobs. Due to the negligence of the Department of Education in the Eastern Cape, we face a momentous backlog in the infrastructural delivery for schools in our province. This means that our children will be without libraries for many years to come. This has to change and this change must take place quickly. It is time to put all learners of this province first. A DA-led government will prioritise our children’s needs and their education by raising this matter continuously in the Legislature so that the situation can be turned around. 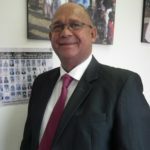 — Edmund van Vuuren MPL, Shadow MEC for Education.